Today, new scientific discoveries are almost always published in English. But in 1900 English was far from the dominant scientific language. The dominant language was German. So how did English rise into its current position? The article below also includes a link to a podcast of the interview on which the article was based. This article from the Grammar Girl blog looks at the phenomenon of silent letters – did you know that more than half of the letters in the English alphabet are silent in at least some words? Why they are so common in English? Click the picture below to see more. There is also a podcast to accompany the article (top right of page). Hello from the very warm LINGUA FRANCA offices in Berlin. With the heatwave currently being felt in Germany, sleep has become a problem for many. But did you know that it seems those who sleep more, earn more and get sick less often? 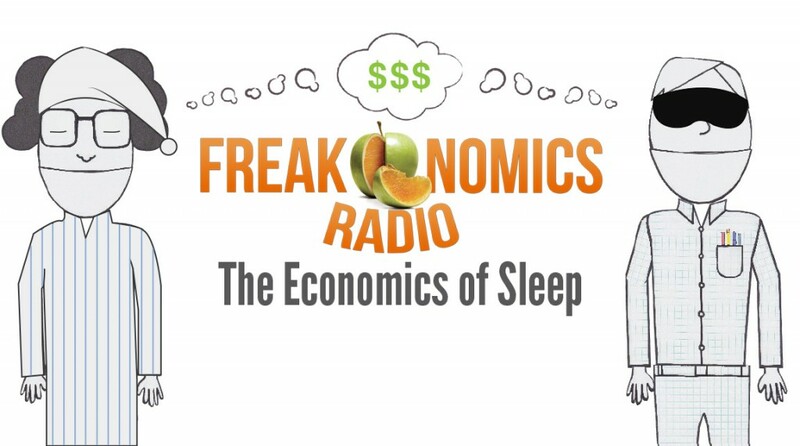 In this 2-part episode (Part 1 / Part 2) from the Freakonomics podcast economist Steven D. Levitt, and writer Stephen J. Dubner, look at the health and economic effects of our sleeping habits . Best suited to B2- and higher students – lower levels can follow the audio using the transcript for Part 1 and Part 2. At LINGUA FRANCA Sprachschule here in Berlin we deal with a number of different languages everyday, but it’s nothing compared to this London school which has 600 pupils who speak a total of 42 different languages. To find out about life at this school, listen to this episode of the BBC’s 6 Minute English podcast. 42 Lanuages – (link for audio, vocabulary help and a transcript) Rob and Finn talk about a school in London which has 600 children who speak a total of 42 different languages. Is it difficult for them to learn English? And how does this affect their educational performance? Are they good at other subjects like maths? Best suited to B1 and higher students – lower levels can follow the audio using the transcript found at the link above. The team at Planet Money have been researching a question recently – Will your job be around in the future, or will you be replaced by a machine? You can click on the link below to go to a tool that will tell you the chance that your job will be automated in the future. The robots are coming. Find out who is next to be replaced. This podcast is best for students with a B1+ level or higher, although if you have a lower level, you can use the transcript to help you. Podcast Recommendation 9 – Why Is Pumpernickel Bread Named for a Farting Devil? Today’s podcast recommendation from the LINGUA FRANCA Sprachschule blog looks at something that is a staple (Grundnahrungsmittel) in many German and American homes – pumpernickel. The name sounds rather German-ish, but what does it really mean? And where does it come from? The story touches on everything from Napoleon to a farting devil. Podcast Recommendation 8 – Planet Money: Spreadsheets! Today the LINGUA FRANCA Sprachschule blog is presenting another fascinating podcast from the people at Planet Money. If you are right now sitting in an office at a computer, you may well be actively ignoring today’s subject – spreadsheets! 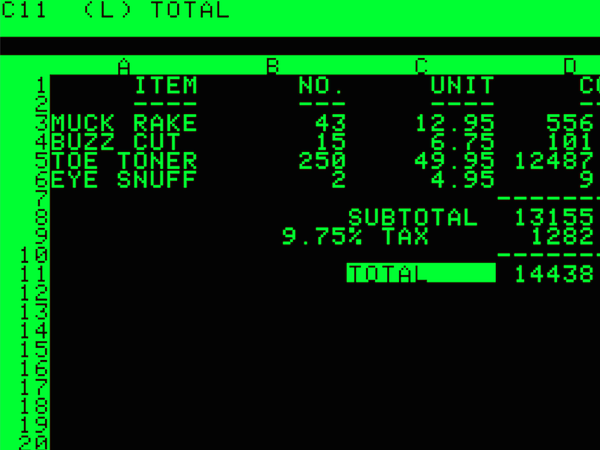 Planet Money – Episode 606: Spreadsheets! An interesting and entertaining look at the history of a tool many of us use for hours every day. This podcast is best for students with a B1+ level or higher, although if you have a lower level, you can use the transcript to help you. What is a podcast? Simply, it’s like a radio show you can download to your computer / MP3 player / smartphone etc. and listen to whenever you want. There are many options for downloading and listening to podcasts. Most will let you download or listen to individual episodes directly from their website. If you want to subscribe, iTunes (PC and Apple devices – use the iTunes Store to find your podcast) is the most popular, while Podkicker Podcast Player is one of many good options for Android. The British Council’s Elementary Podcast series is aimed at elementary and pre-intermediate level students. If you visit the podcast’s website, you will be able to find not only the audio, but also transcripts, worksheets and more. Introducing your friends, Angelina Jolie, things you can find in a kitchen, Central Park in New York, celebrities working for charity, etc. For our latest Podcast Recommendation the LINGUA FRANCA Sprachschule blog is presenting StartUp. Week for week, this podcast tells the very human story of the drama and emotion involved in starting a new company. What happens when someone who knows nothing about business starts one. Today the LINGUA FRANCA Sprachschule blog is presenting a podcast aimed at slightly lower-level English learners, around a B1- should be enough to understand it. The recordings use a limited vocabulary and are read at a slower speed compared to podcasts aimed at native English speaking audiences. 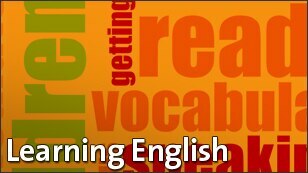 The Learning English Broadcast from Voice of America publishes a 30-minute recording everyday. It features news stories from around the world. On the website you can also find many other audio, video and text resources for English-language learners, all based around current events. Why not have a look at it here.